Wolfgang returns home after a long trip, but Salzburg is very different when he returns. So begin his ‘lost’ years. Opportunities in Salzburg where too small for someone of young Wolfgang’s talents. A new archbishop made cuts in musical performance lengths, didn’t replace musicians who left, and favored Italian musicians over native Austrians. There was also no opera or theatre companies at the time. Wolfgang is consigned to writing serenades and church music. Mozart composes no piano music during these Salzburg years. However, he later travels to Munich, where he suddenly produces 6 piano sonatas. In one of these works, he describes himself playing it. Rather than the strictly straight timing usually heard, Mozart does something very different. He plays the left hand completely straight, but he plays the right with rubato (meaning ‘stolen time’). The right hand may start late and have to ‘catch up’ to the left over time, for example. Wolfgang brags about being able to do this in a letter to his father. Wolfgang becomes stir crazy during this time working for the archbishop and leaves Salzburg. His family pins their hopes on Wolfgang’s finding a job in another city that pays well enough that they all can move with him. The flaw in the plan: should Wolfgang fall in love and get married, that likely won’t happen. Mannheim has a musical scene which should be very fertile ground for Mozart, but there are no vacancies for him to fill. He alters his writing style to fit the ‘sturm und drang’ (‘storm and stress’) style in use there, writing his Symphony No. 25 in G Minor, K. 183 – 1 of only 2 symphonies Mozart will write in a minor key. But it is to no avail. He next plans to take Aloysia with him to Italy, where he will build her into a prima donna (the chief female singer in an opera or opera company). However, Wolfgang’s father intervenes. Leopold writes a series of sometimes dramatic letters to Wolfgang to stop his plans with Aloysia. Leopold tells Wolfgang that all the training instilled in Wolfgang and all the effort to build up his career is now a debt to be paid, and his family’s welfare depends on him. In response, Wolfgang abandons his plans for Italy with Aloysia, and at his father’s urging, leaves Mannheim for Paris to look for work, with his mother joining him. There again, Wolfgang finds no job. His reputation as a child prodigy performer is working against him, as he’s not seen for being a composer. He again changes his writing style to fit the Paris music scene, writing his Symphony No. 31, K. 297/300a ‘Paris’. In it, he is giving the people of Paris the sorts of things they love, and the work is a huge success (though he writes home mockingly about the style). But, still no job offer. His mother’s death marks a turning point for Wolfgang. Everything has changed for Wolfgang, with his mother gone, trying for various sorts of jobs and coming up empty, altering his writing style, and now his father orders him home to Salzburg so he is not left living alone in Paris. Leopold angrily blames Wolfgang for Wolfgang’s mother’s death. A downward spiral has begun in Wolfgang’s and Leopold’s relationship. 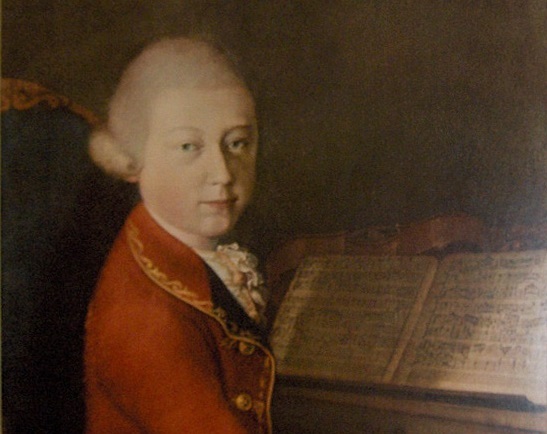 This concert week, we’re listening to CPR Classical’s podcast series on Mozart. You can find the entire series here: http://www.cpr.org/classical/podcast/cpr-the-great-composers. Read along as we write excerpts from this podcast. The Longmont Chorale performs, “Requiem: Mozart’s Last Words” on Sunday, March 11, 2018 at 3PM at LifeBridge Christian Church in Longmont. The Chorale and guest soloists are accompanied by instrumentalists from the Longmont Symphony Orchestra.